The senior Democrat on the Senate Foreign Relations Committee and a supporter of more restrictive gun laws told Breitbart News he has not signed on to support the Collins amendment. “I want to make sure we are doing something actually substantive and real to deal with the tragedy of gun violence,” said Sen.Robert Menendez (D.-N.J.). The senator said he would not support the No-Fly-No-Buy amendment proposed by Sen. Susan Collins (R.-Maine) until he saw the measure’s final language and how the proposal handles the use of the federal government’s Terror Screening Database. 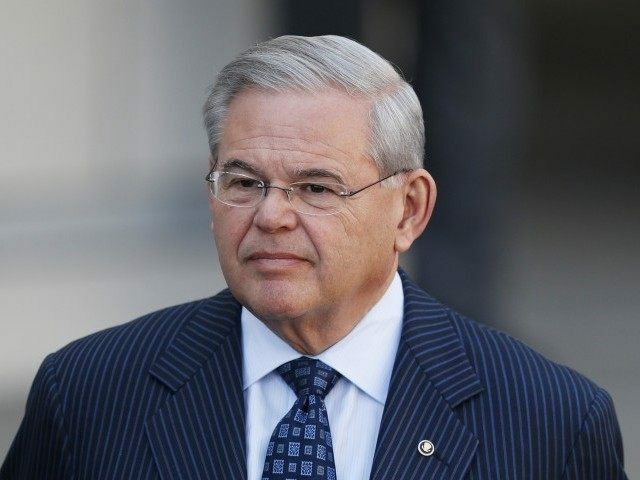 Menendez said as a former chairman of the Senate Foreign Relations Committee and a participant in many intelligence briefings he is aware of the true nature of the list, but his colleagues are unfamiliar with them. One of the concerns of national security experts is that because the Collins amendment allows someone denied a gun purchase a court appeal, the federal government would have to confirm the individual is on the list and reveal its portfolio of information–both situations are currently classified. Speaker Paul D. Ryan (R.-Wis.) told CNN he is opposed to No-Fly-No-Buy bills because of their potential to disrupt ongoing investigations. The Terror Screening Database is a collection of lists with more than 1,000,000 names. Only 5,000 of the names on the list are American citizens or permanent residents. Of those 5,000, 1,000 are on the No-Fly List and the an additional 1,700 are flagged for heightened surveillance.